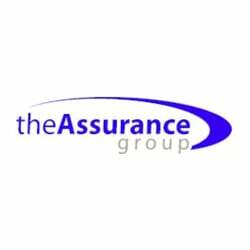 Sales Representative Opportunity with The Assurance Group. The Boomer generation is the fastest growing market segment in health care. And we are one of the fastest growing IMO in the nation dedicated to serving their unique health and well-being needs. Up for the challenge of a lifetime? Join a team of the best and the brightest to find bold new ways to proactively improve the health and quality of life of these customers. You’ll find a wealth of dynamic opportunities to grow and develop as we work together to improve the quality of our health care system. Today’s growing retiree population is the reason you can build your own business. We’re putting a team of independent business owners into this community of retirees to help them sort through their choices and decide on the best way to protect their health. The opportunity is huge and training and support are available to help you take advantage of this occasion. Just think, before you know it, you could be an expert in one of the fastest growing market opportunities of our time – teaming up with The Assurance Group puts you into business with a world-class partner. Run your own business with the tools, purchasing power, and resources of a debt free company company. It may not be what you saw yourself doing, but it could easily be a way to see yourself growing. Find out more about how this can be the perfect start to your life’s best work. The Independent Career Agent is responsible for educating Medicare beneficiaries in their community, on their healthcare options and helping them make an informed decision on which plan is most appropriate for their individual health needs. • Compassionate individual with a passion for helping the Medicare eligible population make challenging healthcare decisions. Ethical behavior and integrity is required. • Current state health insurance license or willingness to license within 30 days of contract offer.